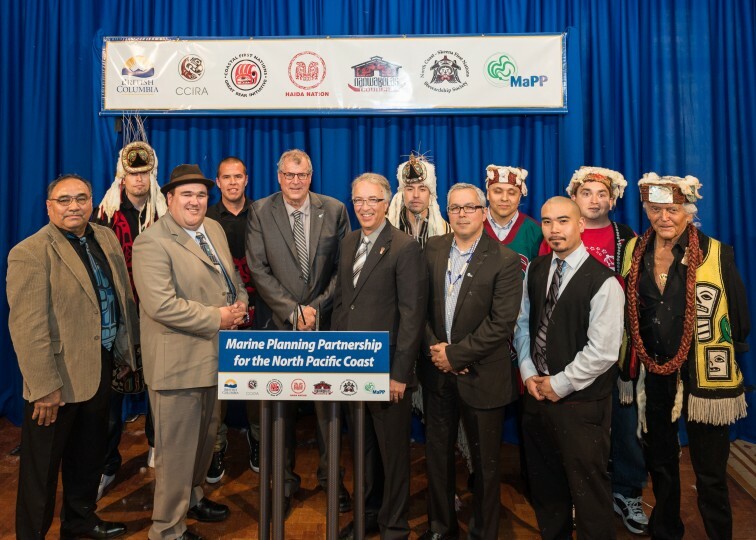 VICTORIA – Marine management took a significant step forward today, with the completion of plans under the Marine Planning Partnership (MaPP) for the North Pacific Coast; a co-led partnership between the Province of B.C. and 18 coastal Nations. The MaPP plans provide recommendations for key areas of marine management, including uses, activities and protection and will inform decisions regarding the sustainable economic development and stewardship of the coastal marine environment in the plan areas, which extend from Haida Gwaii to Campbell River on Vancouver Island. The marine plans do not address management of uses and activities that the Province considers to be federal government jurisdiction. Issues requiring federal government involvement would be subject to consultations with the federal government. MaPP is comprised of four separate but complementary sub-regional marine plans – Central Coast, Haida Gwaii, North Coast, and North Vancouver Island – that were developed collaboratively by all partners and were shaped by robust stakeholder advisory processes and engagement with coastal residents and other members of the public. This included public town hall meetings, extensive consultation with stakeholders from a variety of marine sectors, and guidance from members of the marine science and technical communities. Management objectives and strategies that support positive change and reinforce our approach to decision-making, stewardship, economic development and healthy coastal communities. Spatial zoning that identifies marine areas for special uses, protection and general use. The Province and First Nations have been conducting resource planning in this area for many years, and extending this collaborative relationship to marine and coastal areas will improve consistency in the approach to resource management for the entire region. The partners are now focused on drafting implementation agreements for future action.